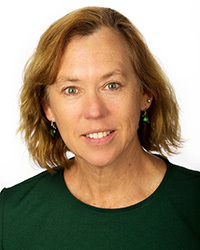 Dr. Lisa Moeller joined the University of St. Augustine for Health Sciences, San Marcos campus, in January 2018. She serves both as an Academic Coordinator of Clinical Education and Assistant Professor in the Doctor of Physical Therapy program. Dr. Moeller holds a Bachelor of Science in Kinesiology from the University of California, Los Angeles, a Bachelor of Science in Physical Therapy from Mount Saint Mary’s College, a Master of Advanced Studies in Clinical Research from the University of California, San Diego, and a Doctor of Physical Therapy from Chapman University. Prior to joining USAHS, she worked for 14 years at the University of California, San Diego Medical Center, a busy teaching hospital, as a physical therapist in both acute care and outpatient orthopedic settings treating routine and complex patients, mentoring new graduates and students, authoring departmental protocols, and participating in research studies. She also served as the initial program director for four years in a Physical Therapist Assistant program, starting it from scratch, (including writing all CAPTE documents, curriculum and policies as pertaining to the PTA program), successfully attaining full accreditation, and graduating the first two classes before returning to clinical care at UCSD. She is a member of the American Physical Therapy Association (APTA), as well as its California chapter. She regularly volunteers and is closely involved with a community club girls soccer team and the Surfrider Foundation. Lisa continues to be engaged in both research and clinical practice at UCSD and enjoys spending time with her family playing at the beach, running long distance races, and traveling.